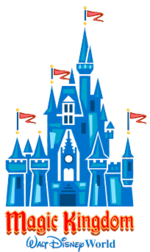 Disney’s Magic Kingdom is one of 4 parks in the Walt Disney World Resort Park in Florida. The enchanting 107 acre park features 6 magical lands where families can enjoy classic attractions, backstage tours, unbelievable entertainment and all of the famous Disney characters. Most popular for the biggest thrills are Space Mountain and Splash Mountain, both of which are heart pounding experiences. While Splash Mountain is a water base ride that ends with a 5 story drop in to a lagoon, Space Mountain will take you in to the outer reaches of the galaxy as it rockets you through tunnels and more! The kids will enjoy Peter Pan's Flight as this ride takes you through the magical world of Wendy, Michael, John and of course Peter Pan! For the slightly older kids who can appreciate the fantasy world of the Pirates of the Caribbean, be sure to check out their ride where you will encounter swash buckling pirates, boisterous buccaneers and many landscapes reminiscent of this fascinating movie! Magic Kingdom also offers three shows - Country Bear Jamboree, Mickey's PhilharMagic and Monsters, Inc Laugh Floor - all of which are truly entertaining and designed to keep you smiling. While the first and second are more so designed for children, the latter can be enjoyed by all. Enjoy one year of admission to Disney's Typhoon Lagoon Water Park and Disney's Blizzard Water Park (During normal operating hours). 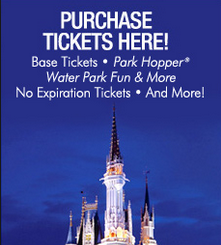 To view Magic Kingdom Park Admission Tickets, other Specials and Coupons, go to their special page by clicking here. Magic Kingdom Park updates this page throughout the year, so check back to see if new specials and coupons have come in. Note to our visitors: Magic Kingdom Park Specials and Coupons can change without notice. So please visit their official website to make sure of the latest pricing and coupons.